You'll find it in the Filter menu. 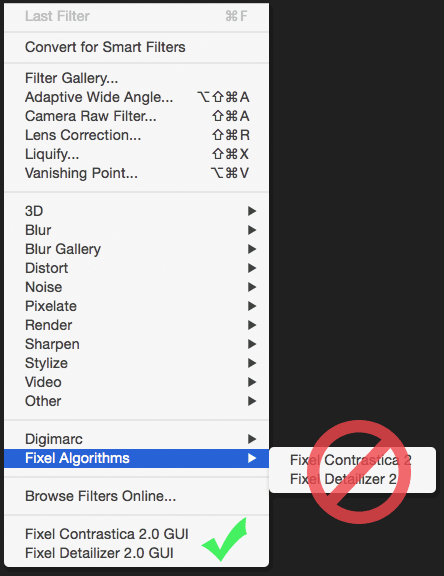 Use the menu elements at the bottom of the Filter's list, not the ones in the Fixel Algorithms submenu. Does it crash anyway? If this is the case, please get in touch with us (See email address at the bottom of the page). The Plug In doesn't show up in the Filter Menu in CS6 (Though it is correctly installed)? Hence users of CS6 which uses our products which utilizes Intel OpenMP Library (libiomp5md.dll) should install Intel® C++ and Fortran Compilers Redistributable Libraries. As for any customer we provide main branch free update (For instance, 2.0 -> 2.5). When you buy from Deals Website we don't get your customer details hence to get the update, please contact us. We're sorry to hear that! We do our best to craft the software we put for sale. 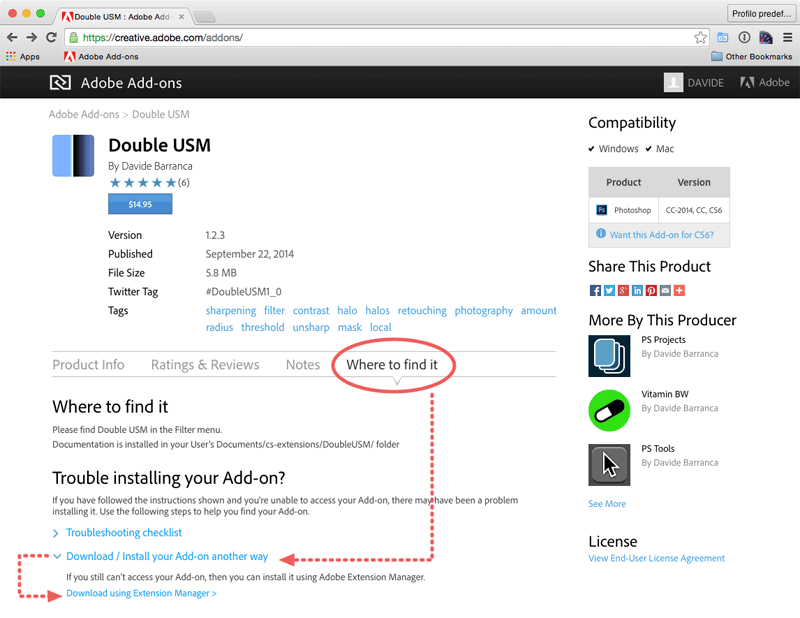 If you bought via Deals website please refer to their customer support - otherwise if you got Fixel's products via Adobe Add-ons, send an email to [email protected] and they will assist you in the process.